The list has been checked, the car is packed, and every consideration has been made to make sure that your student is prepared for a new school year. However, did you prepare them for the possibilities of campus thefts that can take place inside of residence halls? Follow these safety tips from Signal 88 Security to give your student peace of mind while at school, and give yourself peace of mind knowing they are staying smart about their safety. 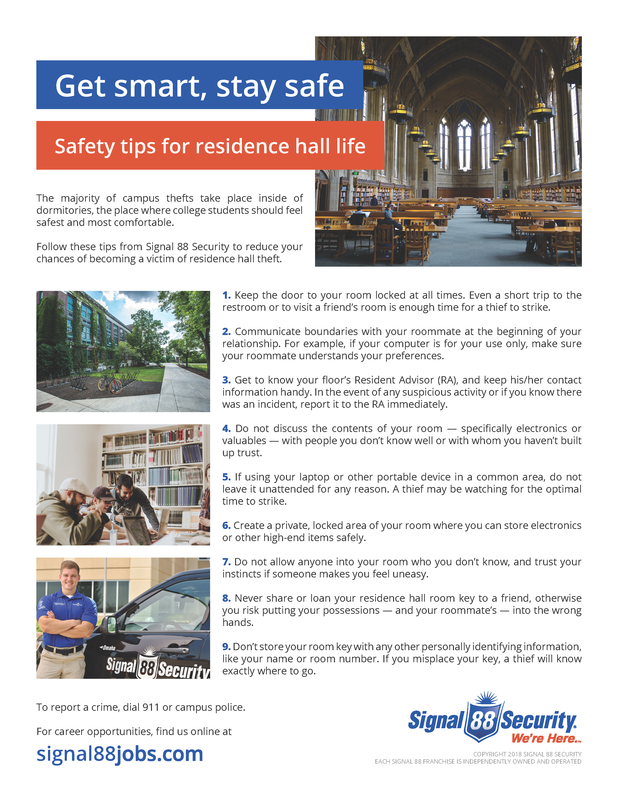 Click here to download our Residence Hall Safety Tips flier.